A view of Durant Avenue, looking east toward Monarch St. The Dancing Bear is on the left, and the Chart House Lodge building is on the right. A diagram of the Dancing Bear/Chart House tunnel. ASPEN – The Dancing Bear can start digging, as Aspen City Council members voted 3-to-2 Tuesday to let owners of the timeshare project build an 80-foot-long private pedestrian and service tunnel under Durant Avenue to connect the existing Dancing Bear building with a long-stalled building across the street. The project is expected to start in October and will require four weeks of utility work just under the street, which will cause traffic delays, and three months of underground digging and construction of the 8-foot-tall by 8-foot-wide tunnel, which will cost over $1.5 million, according to a city memo. The underground work is not expected to disrupt traffic on the street above it. Council members Art Daily, Adam Frisch and Dwayne Romero supported the tunnel. Frisch and Romero cited the benefits of limiting pedestrian traffic across Durant between Monarch and Aspen streets, which sees 450 RFTA bus trips a day. Mayor Steve Skadron and council member Ann Mullins voted against the tunnel. The existing Dancing Bear building, on the north side of Durant, was approved in 2003 and opened in 2009. It includes nine three-bedroom fractional units. It also is home to the Brexi restaurant as well as a downstairs movie theater, wine room, game room, kid’s area and other amenities. The second Dancing Bear building, formally called the Chart House Lodge building for its location on the former site of the Chart House restaurant, was approved in 2005. It was approved as a standalone lodge, with its own front desk, restaurant and housekeeping facilities, but the projects were eventually combined. However, construction of the second building stalled in the recession. The current owners of the Dancing Bear, Sunrise Company, intend to start construction on the building’s 11 units this fall. But first, the company wants to build a tunnel between the two buildings. Teddy Farrell, representing the developers, said the tunnel would make it easier for guests in the Chart House building to get to the amenities in the existing Dancing Bear building. It would also make it easier for employees, including maids, bellmen and food servers, to get back and forth. 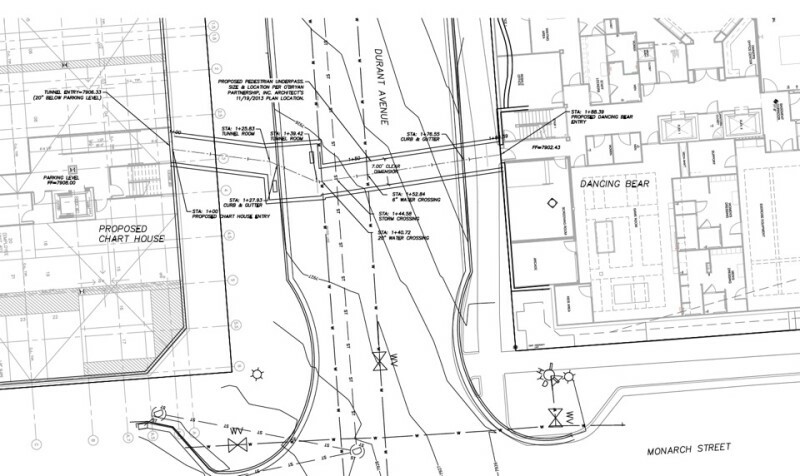 The tunnel would connect the parking garage in the Chart House building with a lower floor of the Dancing Bear building that includes many of the building’s guest amenities. The dirt from the tunnel is to be moved to the unfinished Chart House building and then trucked from the site. The tunnel could not be built if the Chart House building was already complete, developers said. Once the tunnel is complete, work will begin to finish that building, which is perhaps the most visible symbol in Aspen of the economic downturn. Looking west and down Durant Ave from Monarch Street. The Dancing Bear is on the right. The top of the tunnel would be 13.5 feet under the surface of the street, which would put it below water and sewer pipes that are under the road. Some of those pipes will need to moved or replaced as part of the project, and the developers agreed to pay $293,000 to cover the cost of the work. The city’s engineering department did not support the project, noting in a memo to council that the “department does not think that the tunnel provides a public benefit and the project has the potential to impact the city’s ability to effectively manage the [right of way]. 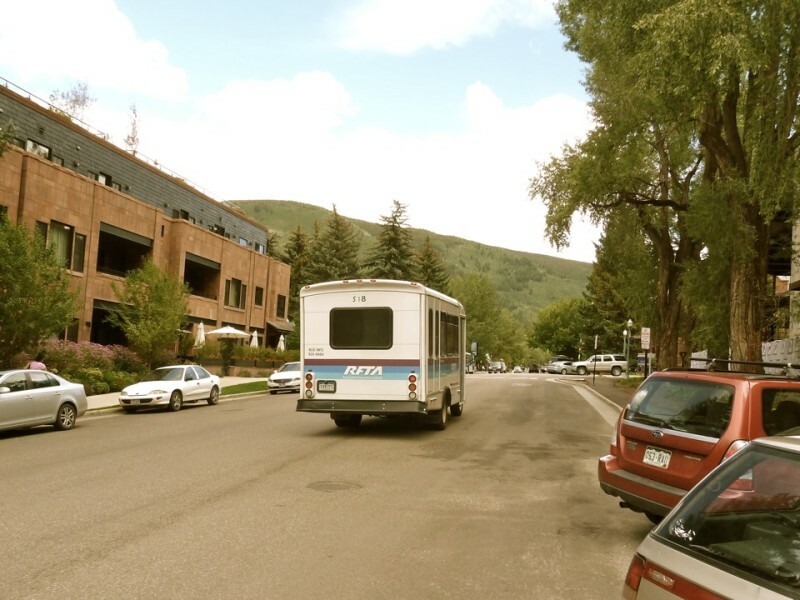 “The department also feels the [estimated] pedestrian trips between the two lodges are artificially high and would not necessitate a four-way stop at the intersection. As part of its approval, city council agreed to a 40-year easement for the public right-of-way under Durant Avenue, but it included a clause that says the city can revoke the easement if necessary for future infrastructure needs under the road. 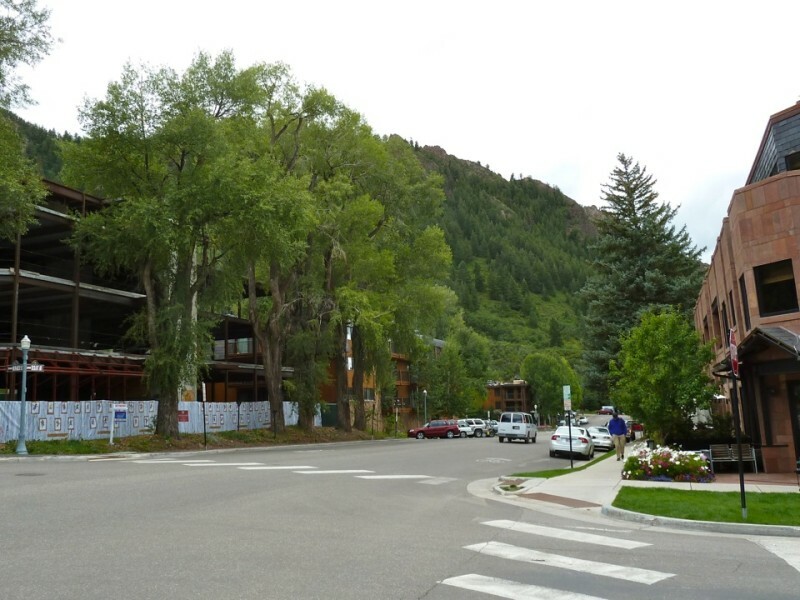 Editor’s note: Aspen Journalism and the Aspen Daily News collaborated on this story, which the Daily News published on Wednesday, Aug. 27, 2014.